Why the Ukrainian court has changed its orientation? Do you think that an orientation change concerns human beings only, their rights and freedoms that should be protected by court as one of the basics of our highly democratic society? As to our secular traditions you are absolutely right. Meanwhile it appears that there is a country quite near where not human beings but judicial authority reverses orientation of court judgments towards opposite ones when a legal decision "guilty" is replaced to the same extent decisive court sentence "unguilty". By the way there are less than three and a half years between these court decisions. In recent years several European countries and NGOs for protection of human rights have publicly evaluated this court decision as an example of selective justice and an act of politically motivated prosecution. Advocacy of Mrs. Tymoshenko stepped up to a high international level when the EU postponed further development of the association agreement and the agreement on the creation of a deep and comprehensive free trade area. Then European leaders presumed that these agreements would not be ratified unless Ukraine would not correct this stark deterioration of democracy and the rule of law. Now it should be noted that on 14th April this year there was an end of that prosecutory story when the Supreme Court of Ukraine closed so called "gas deal" for absence of a crime in the considered activity. 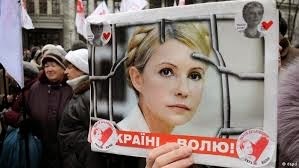 And some days ago the Supreme Court of Ukraine brought a full text of verdict of not guilty for ex-Prime Minister of Ukraine, the leader of the All-Ukrainian Union "Fatherland" political party Mrs. Tymoshenko. But what about the "gas deal" itself? Probably nobody would be surprised at such a "reverse move" of the Ukrainian court and drastic changes of its orientation that obviously revealed the situation within internal political processes of Ukraine. Insofar as the "gas deal" is concerned neither me nor anybody else has to be doubt that the decision of the Supreme Court of Ukraine practically recognizes indisputability of the gas contract between Russia and Ukraine, is not it? However, in fact, in despite of putting on the shelf the "gas deal" prior to that accusing Mrs. Tymoshenko, in the same way as before Ukraine is trying to challenge the validity of the gas contract of 2009 by which the debt of Ukraine for gas supplies only in November and December last year amounts to USD 1,45 bln. Even our highly respected politicians from Brussels actively taking part in the three-sided talks with the EU, Ukraine and Russia up to now could not influence over payments under the gas contract. Why is it possible in the country, which is eager to join the EU, and willing to reach our standards including legal system as well? Why is it admissible to change court decisions on political grounds at the same time avoiding a fair fulfilment of the undertaken commercial obligations? And yet whether will it be the only precedent if Ukraine integrates into the EU? If no than why?